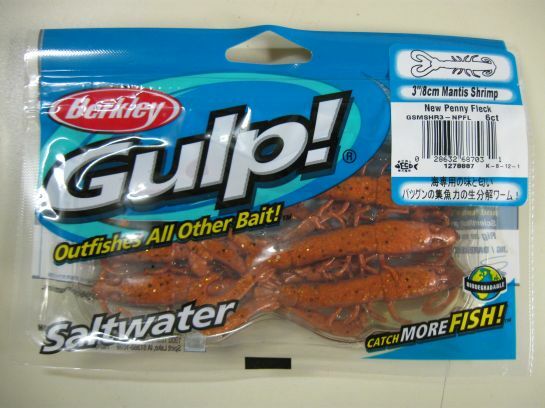 Berkley recently introduced their new Gulp! and Gulp! Alive! Mantis Shrimp to their already mega arsenal of fish catching goodies. 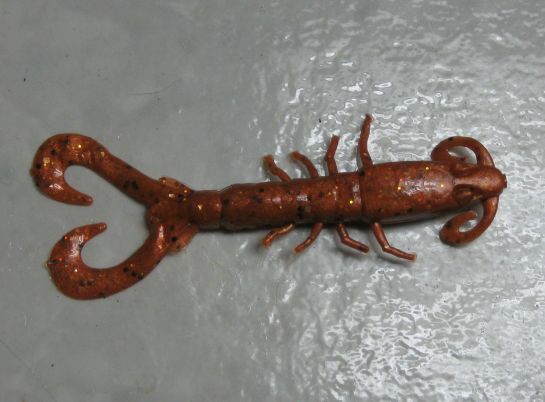 These new baits are 3-inches in length and feature a split tail, four sets of action-driving legs and a set of tentacles on the head that adds another dimension to this realistic bait. All that plus the already legendary attractant built in that helped make Berkley Gulp! the go to bait that it is today. The color pictured is New Penny Fleck which I have already had success with. A total of 14 colors are available to match just about any fishing scenario that you may encounter. If you have never used Gulp!, you're really missing out. Give these a shot and spice up your natural baits or rig one on its own and see for yourself what all the fuss is about. It's available in the common 6-pack packages as well as larger oval and quart buckets.